Requires Java Runtime! 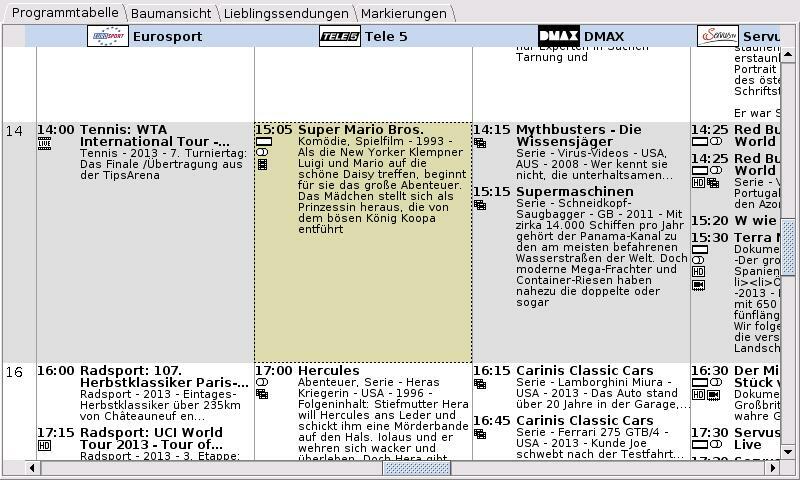 TV-Browser gets the daily TV program from the internet and shows it clearly aranged - like a printed TV guide. An internet connection is only necessary during the data update. 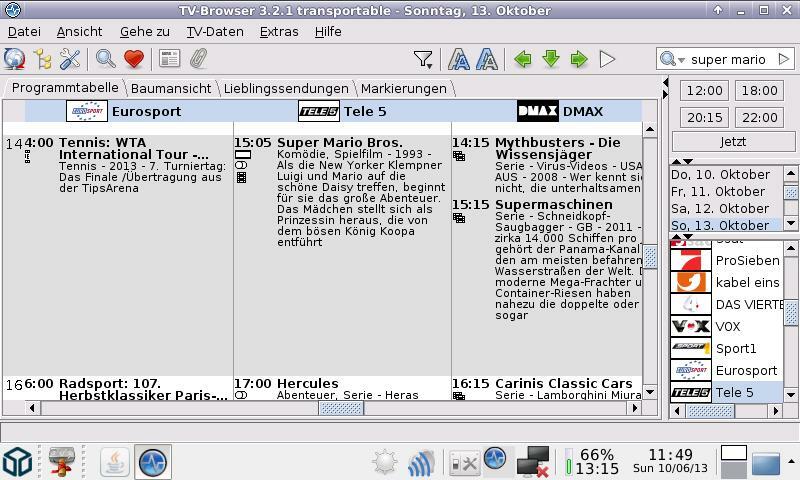 It knows channels from Europe, USA and Australia! 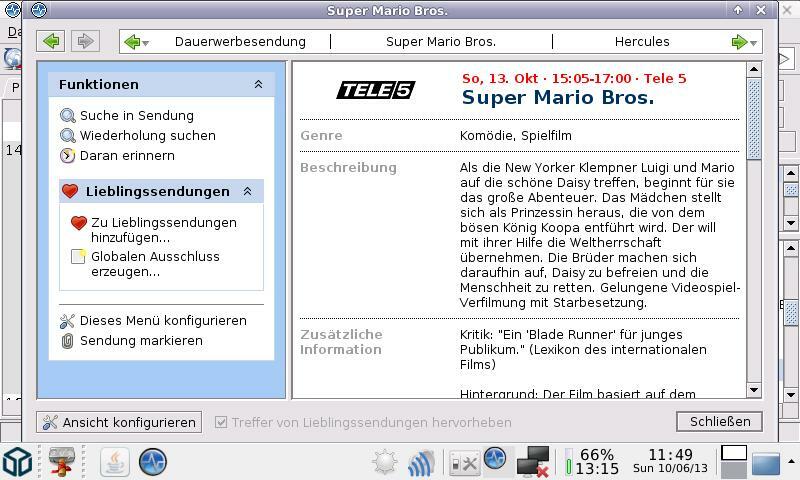 Note: You can not use TV-Browser to watch TV. 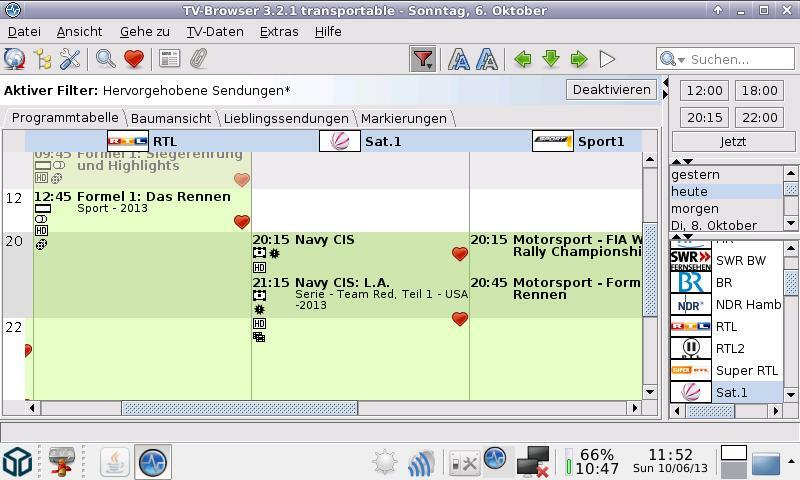 On first start it checks for an internet-connection and lets you set up your favourite channels and so on. Language of the menus can be changed afterwards in the preferences. - Java apps are pretty demanding. Everything is fine on 1GHz units, it is reported to also run fine on 600MHz units without overclocking using Oracle Java (thanks to Fusion_Power for testing). If you experience problems, try to overclock a bit. Disabling some "fancy" features in the preferences or using a SWAP file may improve stability as well.